The emergence of democratic states in the post–Cold War era has influenced international relations dynamics and has led to receding number of major conflicts between great powers in the world, and after the dissolution of the USSR, it impacted the international system in several ways. The phenomenon of the USA that become the sole world super power makes liberal ideology and democracy also hold strong influence in the international sphere. The structure of a democratic state also makes it harder for the head of the state to declare war. The international system is currently in a long peace era after the Cold War; there are no major power wars with devastating effects. The emergence of liberal democratic states make the essay of Perpetual Peace, Kant that stated to attain peace, states must first be democratic. This is because the values embedded in liberal democratic framework actively support the promotion of peace, various attributes and practices of democratic states also factor in the process of maintaining peace. Hence, in an era where democracy is the dominant system in the world, the frequency of major power war has diminished. The proposition of the Democratic Peace Theory states that democratic states do not go to war against each other and can be used to explain the relatively peaceful international system in the post–Cold War era due to the lack of major powers war. Following the world wars, the world saw the fall of colonialism and the rise of young democratic sovereign states. After that, the fall of the Soviet Union marked the fall of communism in the international sphere as well as the rise of independent states that used to be part of the union. These states, much like the majority of other states in the world, have also adopted a democratic system to replace the former authoritarian system. This emergence of democratic states in the post-Cold War era has influenced international relations dynamics and has led to receding number of major conflicts between great powers in the world. The Cold War refers to the state of tension between two major superpowers, the United States of America (USA) and the Union of Soviet Socialist Republics (USSR), after the world wars. The term “cold” was used because despite the intense conflict between the two sides, no “hot” wars or direct armed conflicts happened during this period of time. Instead, the two opposing nations competed against each other in a series of proxy wars. Proxy wars in this era refer to armed conflicts instigated by the major powers, USA and USSR, which are fought between regional states which are supported by the superpower states. A prominent example of the proxy wars in the Cold War era is the Korean War, which started in 1950 and ended in 1953. At the end of World War II, the southern part of Korea was liberated from Japanese occupation by American troops and the North by Soviet forces, dividing Korea into two sides at the 38th parallel. Both sides were supposed to withdraw from Korea when the nation was deemed fit to self-rule. However, when the Cold War emerged, the USSR intended to spread communism into Korea and the United States countered this action as part of the containment policy. These actions then led a war to break out between the two sides, leaving Korea divided for decades after the end of Cold War. While the War never escalated into direct conflict, the tension, as well as the proxy wars initiated by both sides, caused this period to be considered as a major war. The Cold War ended in the 1990s with the fall of the Soviet Union. This war was the last large-scale confrontation among the world’s great powers. In the Post–Cold War era, the international system is relatively peaceful with no major wars between competing world powers. There has also been a shift in the trends in armed conflicts. Overall, the number of armed conflict occurrences in the post–Cold War era has decreased. According to a report compiled by PRIO in 2016, there is also a downwards trend for interstate conflicts while the trend for intrastate conflicts is generally rising. Therefore, there has been a shift towards asymmetrical armed conflicts – such as between states and insurgence groups – in contrast to the typical symmetrical conflicts trend in the past. Moreover, these conflicts generally only involve states which are not a major or even an emerging power. The frequency of great power war has completely diminished in the post-Cold War period. The dissolution of the USSR impacted the international system in several ways. First, this phenomenon left the USA to be the sole world super power. At that time, no other state besides the USSR was able to compete with the capabilities of the USA. Other countries in the world at that time were either aligned with the USA and thus pose no threat or they were not strong enough to challenge the United States reign in the international politics. Decades later, USA remains as the world’s sole hegemony. There might have been some states, such as China and Russia, which are starting to rise up and seem to be getting closer to challenge the United States position as the world’s sole hegemony. Despite this, There may have been some tension between the countries but if there were any kind of hostility, it was not acted upon. Ideological hostility, which was one of the main factors which brought on the war, was also eliminated. 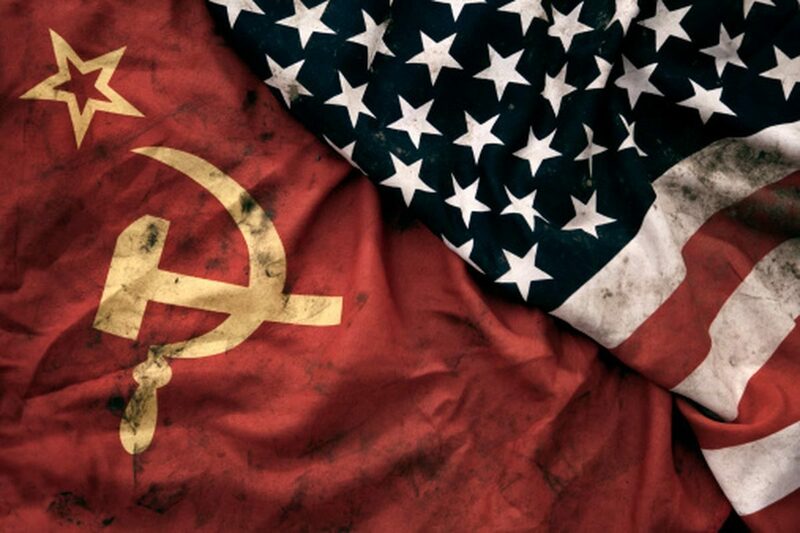 The two major super powers, USA and the USSR, had contrasting political systems and behind those political systems, contrasting ideological views. Due to the contrast between the two ideologies, any attempt to spread one will be seen as hostile by the other nation. The fall of communism left only liberalism standing as the main ideology held by a major power. The democratization process the former Soviet states went through also ensured this. The Soviet dissolution also led to the birth, or rebirth, of fifteen independent states in Eastern and Central Europe. Along with weakening of communism influences, these states went on to adopt democratic system to replace the old authoritarian system. USA even assisted those states through this process and while it was not without difficulties nor entirely successful, it did transform the states ideological view and increased the political freedom of the people in each country. This democratization process played an important role in promoting and maintaining peace. Visions of world peace have been put on the foundation of the collective peace between democracies. Kant spoke of perpetual peace in which he stated that one of the main pillars for peace is based upon states sharing “republican constitutions”. In this context, the republican constitution Kant refers to corresponds with the main idea of a democratic state; states which have a freedom-based constitution, representative government, and clear separation of power. Thus, adhering to the idea of perpetual peace, the democratization of states brings positive impact on the promotion of peace. First, democracies tend to be more prosperous. States that identify as democratic ranked higher in the Prosperity Index of 2016 by Legatum Institute. Meanwhile, states ranked lower in the list are mainly states that identify as autocratic. The prosperity of the people leads to a stable domestic political environment. Internal conflicts are less likely to happen, and less internal turmoil allows the government to focus on the development of the country. Stability and country development go hand in hand and more stability means a state is likely to be stronger. Applied to non-hegemony states, this means that they are less prone to be an object of attack by other states. Even if the state is not a regional hegemony, the internal stability it possesses allows it to maintain a relatively strong influence in the international political sphere and is less vulnerable to be an object of attack. The amount of power a major power state possesses holds enough deterrent effect. The concern when talking about a major power is whether or not they will initiate a war. Liberals consider wars to be inhumane and therefore, should not be done unless it serves a purpose. One of the main traditional factors that cause a war is political-economy; War may be used as a way to obtain foreign wealth and resources. A powerful and prospering state will already have fulfilled most of its people’s need economically. Moreover, a democracy will put the social welfare of its people at the top of its priority. Wars are costly; it also threatens the aggregate social welfare of a state. Therefore, for this reason, a major power is unlikely to wage a war. Liberal ideology and democracy also hold strong influence in the international sphere. A democratic government is seen as the height of civilization and undemocratic states are considered uncivilized. Democracies also tend to trust each other more and are more likely to cooperate in multiple sectors, such as trade and economy, which are important to the survival of the state. In 2013, 123 of 192 recognized states in the world are democratic, though with various levels of democracy implementation. Being undemocratic may pose problems for a state when attempting to form diplomatic relations from the majority of the world and therefore interfere with the state’s effort to survive. Differences in national attributes, such as governmental system and ideology, have been shown to have a great impact on the likelihood of war. Similar-minded states with identical ideology are more inclined to trust each other and form cooperation. Germany and France are good examples for this case. Due to their similarities, misunderstanding and security dilemma between both states are likely to be minimized as each has an insight to how the other might utilize its power. However, the case differs with the US and North Korea. Due to the differences between both state’s ideologies, predicting the other’s move on how they will exercise their military power is harder. Between these two countries, the security dilemma is very prominent, heightening the tension. The probability of war breaking out between both states is also heightened. For that reason, democracies are expected to maintain peace, at least among similar-minded states. Liberal states tend to not use coercive powers in attaining its objectives with other liberal states. Liberalism upholds the value of freedom and human rights, utilizing military power may go against these values as it may cost the lives and freedom of civilians in the target state. Democracies will avoid exercising coercive means unless necessary. This condition makes it more likely for democracies to prefer peaceful negotiations to reach an agreement. Soft power –influencing other states through cultures and knowledge – or smart power – a combination between soft and hard or coercive power – are preferred by democracies. Preference for soft and smart power leads to better diplomatic relations. Negotiations and communication will be done more frequently among democratic states than among states with different ideologies. Overall, this results in better relations between states. Increased communication also reduces the likelihood of misunderstanding to occur. As a result, states intentions are more clearly understandable by the other and the probability of a conflict to break out is reduced. Liberals tend to be more pacific. It does not mean that they will not participate in a war. As stated before, liberals believe that a war must serve a purpose. A democratic state is also very likely to promote democracy in autocratic states. In such condition, a democracy is inclined to intervene and even launch military operations to make way for a regime change, turning the situation into some sort of a “crusade” for democracy. Such is the case with USA and states in the Middle East region. In its attempt to promote democracy, the USA often interferes with foreign states affairs and it also had had occurrences where it used military forces to achieve its objectives. A prime example for this is the 2003 US intervention in Iraq. Despite this, it is important to note that the majority of the world is democratic, just like USA which is the hegemony in the post-Cold War period. It is also true for emerging world powers such as China and Russia. While it may be argued that these states have deeply flawed democratic system, these states still hold some similarities with the current super power. In this situation, the super power has no reason to launch an attack by saying that it is an attempt to spread democracy nor is it likely for a war caused by ideological hostility to occur. Other states that could potentially rise to major power status such as India and Brazil are also democracies. Thus, peace is likely to be maintained among major powers in the post-Cold War era. Interdependence among democratic states is also an important factor in maintaining peace in the post-Cold War period. With the emergence of democratic states, liberal trade flourishes in the international system as it is one of the main characteristics of liberal states. It is considered to be a way to increase the aggregate social welfare of the people. Thus, democracies more often than not support trade relations with minimum barrier, allowing goods to flow freely between both sides. Prolonged trade relation causes population from both states to be dependent on each other to gain income or obtain certain resources. Wars are costly, even more so if both sides economies are deeply connected, which is more likely to be the case between democratic states. The more economically interdependent a state is in relation to another, the more devastating the impacts of war will be to its economy. Therefore, to preserve its economy, democratic states are unlikely to wage war against each other. Lastly, the will of the people in democratic states also play role in preserving peace. Due to its high regards towards the welfare of the people as well as freedom, democracies are theoretically people-driven, even nations that have flawed democracy still goes along with the population’s voice to an extent. When a state is people-driven, it is unlikely for that state to declare war unless it is for self-preservation measure. The rationale behind this is the fact that a war is costly and requires public mobilization Wars will cause part of the population to be drafted, the economy will also suffer as state budget will mostly be spent on war efforts, and infrastructures will likely be destroyed. Civilians end up bearing the brunt of wars whether their state is the victor or not. The structure of a democratic state also makes it harder for the head of the state to declare war. Unlike autocratic states, democratic states tend to have a higher level of transparency in its governance structure. In autocratic states, state leaders would have no problem declaring war since no other power in the state since their power is absolute in state. Meanwhile, civilians of a democratic state can easily perform check and balance towards the government’s policy and decisions, including those regarding war and conflicts. A democratic government structure also allows the population to deliver their aspirations through multiple channels and adhering to what has been stated before; the population is inclined to vote against a war. 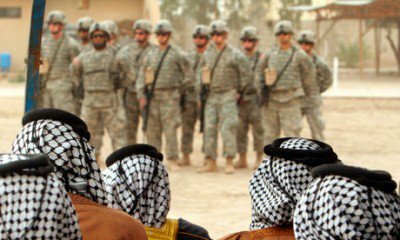 Despite the numerous armed conflicts it is involved in, the United States is only involved in extra state wars in foreign lands; the only part of the USA population put at risk is those who are in the military, the combatants who are drafted. The United States, prioritizing its population’s welfare, is unlikely to declare interstate war which directly involves itself since doing so will threaten the security population. The international system is currently in a long peace era after the Cold War; there are no major power wars with devastating effects. Incidentally, this era also sees the emergence of liberal democratic states. In his essay of Perpetual Peace, Kant stated that to attain peace, states must first be democratic. This is because the values embedded in liberal democratic framework actively support the promotion of peace. Various attributes and practices of democratic states also factor in the process of maintaining peace. Hence, in an era where democracy is the dominant system in the world, the frequency of major power war has diminished. Dupuy, Gates, Nygard, Rudolfsen, Strand, & Urdal. (2016). Trends in Armed Conflict 1946-2015 (Rep.). Oslo: Peace Research Institute Oslo. Prosperity Index 2016 (Rep.). (2017). London: Legatum Institute. Russett, B. M. (1993). Grasping the Democratic Peace: Principles for a Post-Cold War world. Princeton, NJ: Princeton University Press. 3 Dupuy et al. (2016). Trends in Armed Conflict 1946-2015 (Rep.). Oslo: Peace Research Institute Oslo. 7 Prosperity Index 2016 (Rep.). (2017). London: Legatum Institute.